Greetings, my yealings, this week’s facultative Word of the Day quiz hath arrived. 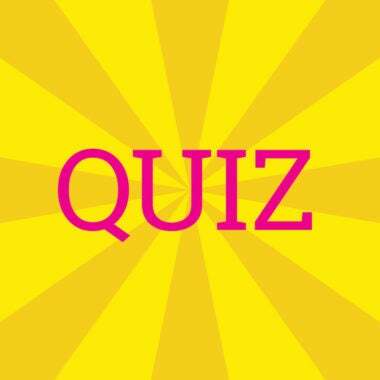 If the quiz doesn’t display, please try opening in the Chrome browser. Interested in Words of the Day from the past? Check out this one that we brought to life … Tell us your favorite word from this week below (and share it with your friends on Facebook and Twitter)! Looking for polysemous inspiration for your new conlang? 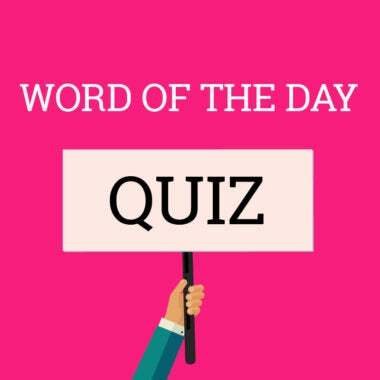 Take this Word of the Day Quiz with alacrity! If the quiz doesn’t display, please try opening in the Chrome browser. Interested in Words of the Day from the past? Check out this one that we brought to life … Tell us your favorite word from this week below (and share it with your friends on Facebook and Twitter)! Our crippling anthophobia won’t stop us from taking this week’s Word of the Day Quiz. If the quiz doesn’t display, please try opening in the Chrome browser. Interested in Words of the Day from the past? Check out this one that we brought to life … Tell us your favorite word from this week below (and share it with your friends on Facebook and Twitter)! Knackered after a long, skimble-scamble week? Recharge with this week’s Word of the Day Quiz. If the quiz doesn’t display, please try opening in the Chrome browser. Interested in Words of the Day from the past? Check out this one that we brought to life … Tell us your favorite word from this week below (and share it with your friends on Facebook and Twitter)! Surfing cyberspace at a plumbeous pace? Then take this week’s Word of the Day Quiz! If the quiz doesn’t display, please try opening in the Chrome browser. Interested in Words of the Day from the past? Check out this one that we brought to life … Tell us your favorite word from this week below (and share it with your friends on Facebook and Twitter)! Brain tired from all that ratiocinating? Kick back with this week’s Word of the Day Quiz. 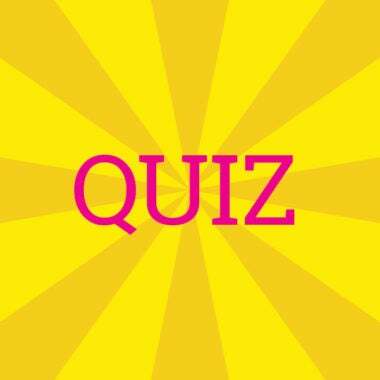 If the quiz doesn’t display, please try opening in the Chrome browser. Interested in Words of the Day from the past? Check out this one that we brought to life … Tell us your favorite word from this week below (and share it with your friends on Facebook and Twitter)!